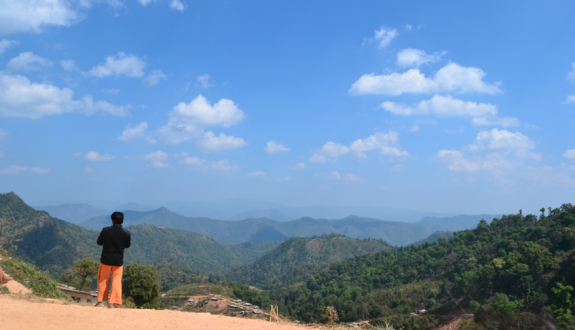 The HART team have recently returned from a visit to Thailand and Burma, where we met with some of the people whose lives are still severely affected by the long-standing persecution of ethnic national peoples, and the failure to reach an inclusive political solution. This report from our visit contains summaries of the information we were given during our visit, the stories we were told, and the reports we received. It tells a very different story from the prevailing international narrative on Burma – which is a largely positive account of a country opening up, lifting the veil of secrecy, fear and oppression which characterised much of its recent history. Instead, we heard reports of growing military offensives accompanied by severe human rights abuses, of widespread fear and deeply entrenched poverty. We were reminded that: “if there was really a political solution, no-one would need to be afraid”. We met Shan women living a precarious existence as undocumented migrants in Thailand, where they are isolated and highly vulnerable to exploitation, and IDPs living in camps just inside Burma, which are overcrowded and where access to healthcare and education is severely limited. We also spent time with some of the community organisations who are drawing attention to human rights abuses, working for peace and a better quality of life for Burma’s ethnic national peoples. We saw the transformational work being done by HART’s partners, the Shan Women’s Action Network (SWAN). They train women as health workers who can provide curative and preventative care to communities deep inside Shan state, in remote areas with little other access to health care. They are having a dramatic impact on maternal and infant health. They are also speaking out about the needs of their communities and the continuing human rights violations. In the process, they are showing the ability of women to be leaders and change-makers in their communities. They are also working with displaced persons living as undocumented migrants in Thailand, ensuring they have information about their rights and an avenue for support if crisis strikes. We were deeply impressed and humbled by the scale of their work, its transformative potential and the support it brings to vulnerable and isolated people. You can download the full report below. For a hard copy or emailed version, or to find out what you can do to support Burma’s ethnic national peoples, please contact alice.robinson@hart-uk.org.